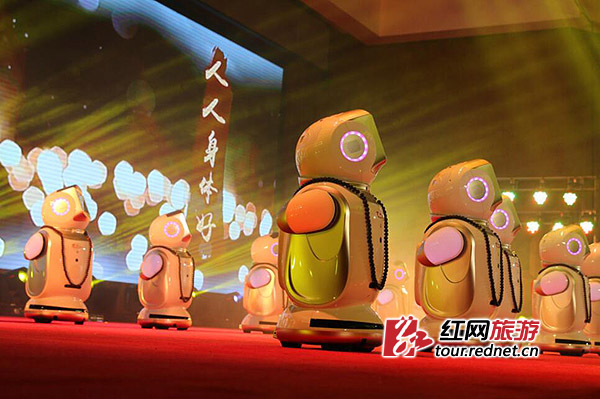 Zhangjiajie holds a tourism promotion conference in Bangkok, capital city of Thailand. 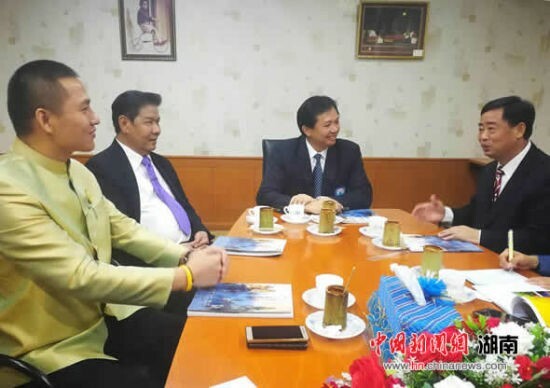 On June 25, Chonburi Governor Phakkhrathon Thianchai and Chonburi Vice Governor meet with a delegation headed by Liu Shaojian, deputy secretary of the CPC Zhangjiajie Municipal Committee. The two sides discuss on deepening tourism cooperation between Zhangjiajie and Pattaya. On June 26, Zhangjiajie, a famous tourist city in China, held a tourism promotion conference in Bangkok, capital city of Thailand. 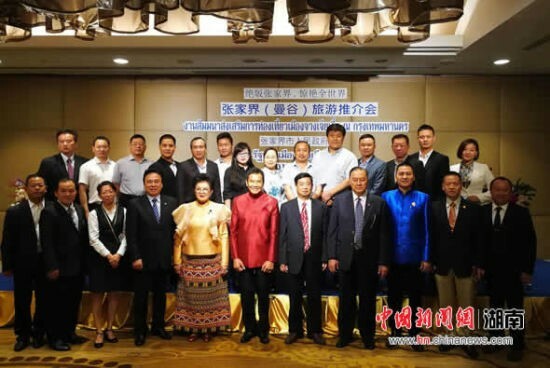 The Tourism Authority of Thailand, China Southern Airlines, New Gen Airways, Thai Travel Agents Association, and travel agents launched various tourism services at the conference. China Southern Airlines announced that it will open daily flights between Zhangjiajie and Bangkok from September 1 this year. Thailand’s New Gen Airways said that it will open twice-weekly flights between Zhangjiajie and Bangkok from this August. Before the conference, the Zhangjiajie and Chonburi governments had reached a tentative agreement to promote direct flights between Zhangjiajie and Pattaya. 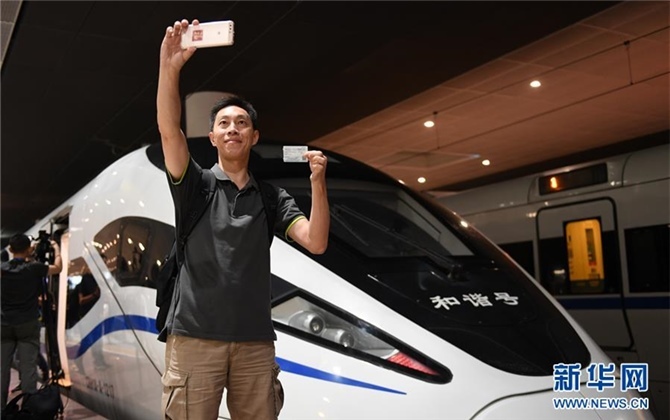 With the further promotion of tourism cooperation between Zhangjiajie and these Chinese-Thai agencies, a world-class travel route between Zhangjiajie and Pattaya is being promoted. According to statistics, 50,000 Thai visit has been to Zhangjiajie each year. 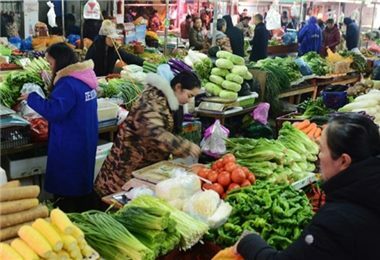 Zhangjiajie has become the preferred destination for Thai in China. Former Deputy Minister of the Ministry of Commerce of the Kingdom of Thailand said that the travel route between Zhangjiajie and Pattaya is developed based on sister city relationship between the two cities, and it will undoubtedly promote the exchange and cooperation between China and Thailand in the fields of tourism, culture, and, economy and trade.